As I collect my thoughts together I came to this conclusion: You are A Legendary Artist/ Musician/ Producer/ A Great Human Being. Words alone could not Express the Gratitude and Appreciation I have for Your Music. May You and Yours Continue to Be Blessed because You Are A Blessing to Many. May you have a very blessed Easter, and a happy, happy birthday. I loved your interview. You never cease to amaze me. Thanks so much for your kind words Mercury. Hey Gregory On and On is really great song. It’s very smooth and I like it. Cool , keep it coming. As one of your millions of Fans I would Thank You so much for All of The Musical Contributions You have made and are Still Making in the Musical Industry for over 30 years… but who’s counting when you continue to make Songs that keep your Fans in “AWE”. Your Music has captured your Listeners with such Charm and Grace. At times, they’re even Spellbinding because at that Moment you forget about the troubles of the world and the troubles in your life if you have any. You just Embrace the Music with your Heart and Soul and to hear You Singing is ever so Delightful. Your Singing has Mesmerized Audiences All Around The World. For that I would like to give you an Award that includes Lots of Thank You’s, Hugs and Kisses and Well Wishes. You have Accomplished So Much and Touched So Many Souls in a Positive Way. You can’t be put in 1 Category of Music because You Belong In ALL Categories of Music. As busy as you are You take the Time to Interact with Your Millons of Fans. That is Super Awesome and Outstanding. You have So Many Great Qualities I don’t have the Space to List All of Them. Thank You for Touching So Many Lives with Your Wonderful Music. You Never Deviated From Your Style of Singing from ; Shake You Down, You’re My Angel, Stir It Up, Handyman, Soul Food, So Easy 2 B With You, Middle of Harlem, Say You Will, Sugar Sugar, I’ll Find A Way and The List Continues to go “ON And ON”. Now That Is REAL MUSIC. Much Love for ALL of Your Singing. FoR REAL !!!! Wow… so touching…. thank you for sharing your story ?? Just want to know where in the West Indies is your father from. You have that lamp continiously burning into the early morning so that you can deliver to us music worth listening to. ..Yes I am checking out your interview. Great interview. Very excited about the original singles that will be released in the future. Can’t wait to add them to my Gregory Abbott Collection. I feel confident that We , your fans will not be disappointed. Your loyal fan of 31 years. I still remember where I was the first time I heard Shake You Down. The words were deep and the sound unique for the time. I have a lot of favorite songs , from almost all genres but I can honestly say… Shake You Down is the only song that I can remember where I was the first time I heard it. It has been more than a few years since I was your mentor and camp counselor at Camp Talcott. I am extremely proud of you and your accomplishments. You have inspired me to wipe off the dust of my old guitar and play the darn thing. Love to you guys from me and Drew. What a fine counselor you were. And what a wonderful friend throughout the years. Hope to see you guys one day soon. Gregory Abbott, you are like a rare gem. Because, your music has stood the test of time. And, you are truly an inspiration to us all! That special prestine quality in your vocal ability lures us to wanting to discover more about everything that you do musically. Yes, you are a brilliant story-teller! Congratulations on such an amazing journey. P.S. You’ve carried the torch beautifully to be passed on to the next generations of journeymen and women. You’ve set the tone for excellence in music. And, I hope to read your autobiography one day soon. Thank you JuLa. YOU are the gem ?? 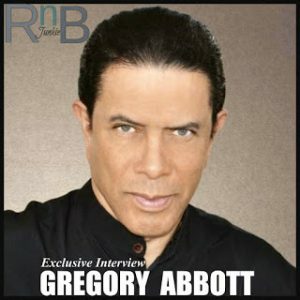 Very interesting interview, it’s so exciting for me to know more about the very talented and goodlooking Gregory Abbott. ur number one fan Gregory, keep making beautiful romantic music. you’re the best ? Wonderful Intervuew. Thank You for All of Your Musical Contribution You Have Made. I look forward to hearing Your Uocoming Music. That is an Amazing Interview. You are Truly a Very Gifted Person. You have Accomplished so Much with YourTalent, Intelligence and Caring.. You Sing Music that Your Fans Truly Enjoy. Congratulations Mr. Abbott for All of Your Contribution You have Made and Still Making in This World.